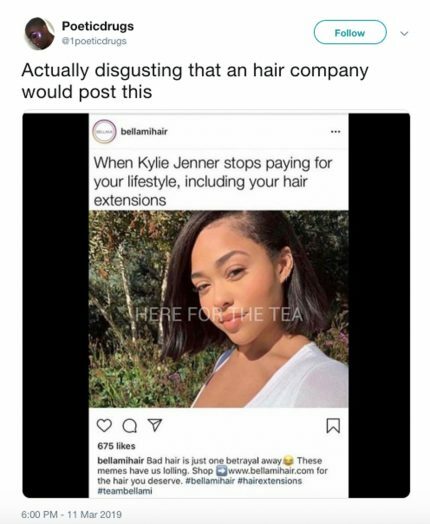 Kylie Jenner Is Moving On As Jordyn Woods Likes Tweets Seemingly Referencing The Tristan Thompson Scandal! 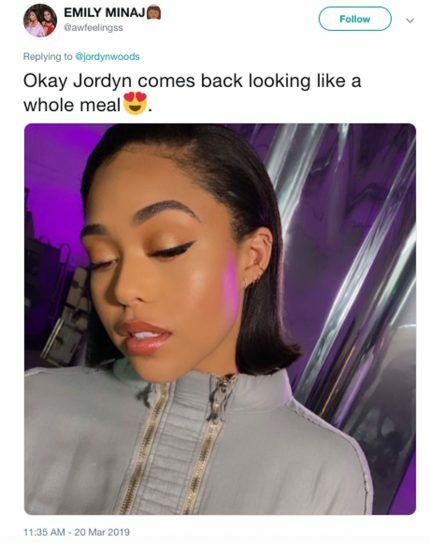 Home › Jordyn Woods › Kylie Jenner Is Moving On As Jordyn Woods Likes Tweets Seemingly Referencing The Tristan Thompson Scandal! 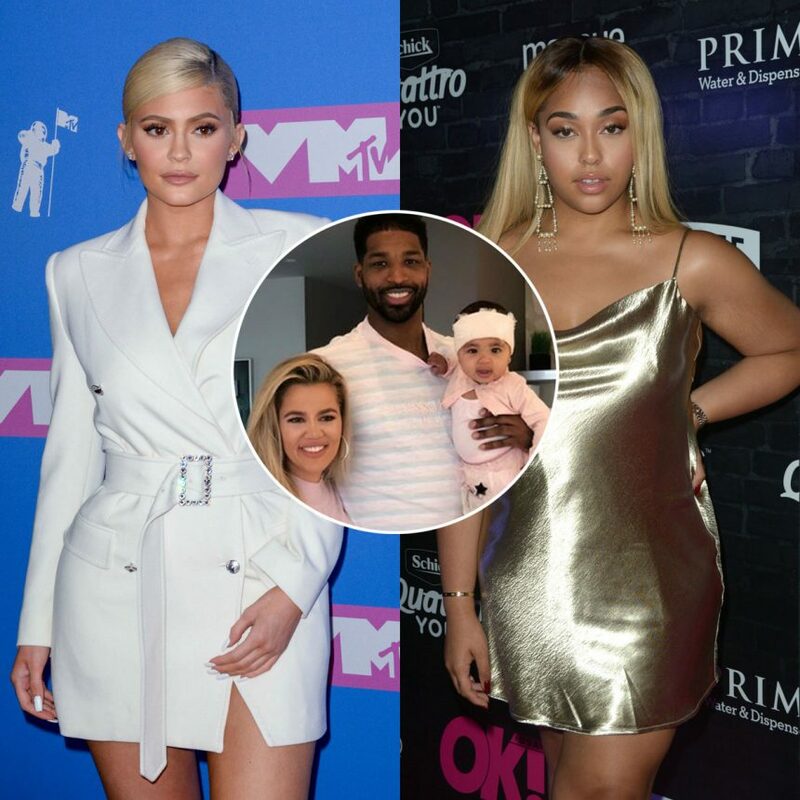 It’s hard to believe it’s only been a month since the Jordyn Woods and Tristan Thompson alleged cheating scandal unraveled, leading Khloé Kardashian to dump the cheater AND candidly blame the young star for breaking up her family! While it seems things have settled down since, a lot has changed for those involved! TMZ is reporting that the ex Good American model and Kylie Jenner have had almost no communication since the former’s Red Table Talk interview with Jada Pinkett Smith. And now, the billionaire mogul is ready to move on from this friendship. Their sources claim it was the Facebook sit-down that put the nail in the coffin for Stormi Webster‘s momma as Woods denied hooking up with Thompson, only claiming he initiated a kiss on the lips as she was leaving a party at his house. Kylie is apparently ready for her former bestie to come pack up the rest of her belongings still at the Jenner household, but is willing to be amicable with Jordyn in the future. It’s a huge downgrade for the 21-year-old model as she was known as the Kylie Cosmetics‘ live-in bestie, considering they were attached at the hip. But it sounds like she isn’t too concerned. Sounds like Woods is more than ready to make her return to the spotlight! As we previously reported, sources with The Blast dished that she is “setting herself up to score some big business deals” overseas. Not only will she be heading to London with her own momager Elizabeth Woods, but there are some possible interested clients and deals that could be happening over in the Middle East. 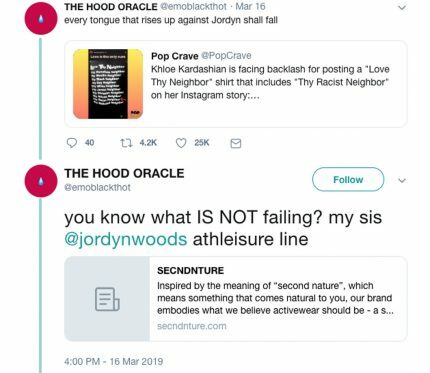 That’s not to say Jordyn couldn’t succeed in the States, but do you think Kylie, Khloé, and co. would let her? ?